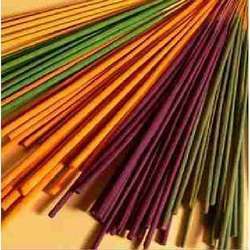 We are a leading Manufacturer of incense stick from New Delhi, India. With rich industry experience, we are engaged in manufacturing and supplying high quality range of Incense Stick. The offered incense stick is processed using optimum quality of basic material and modern technology in sync with industry norms. Our provided incense stick is checked against different quality measures in order to ensure its quality. Furthermore, customers can avail this incense stick from us at nominal prices.